My name is Kim Standerline and I’ve been an Internet Marketer since 2002. In that time I’ve picked up a number of tricks and ideas so I can navigate my way around the Internet very successfully. However I’ve been back on the scene for the last few years doing kindle stuff, email and affiliate marketing and some product creation. A bit about me and why I retired from the IM world..
I’m actually a Registered nurse by profession here in the UK, and despite my online success I always maintained my offline job, (I didn’t want to fire my boss as so many others want to do). I enjoyed my nursing job and got a great deal of satisfaction from it. I worked in Health & Safety/Risk Management for 10 years, and I really enjoyed it. It was hard work and stressful, but I thrived on it. My Early Years in IM.. I started marketing online back in 2002 and after learning how, I launched my very successful health related membership sites Niche Health Products & Niche Health Articles back in 2005. I found membership sites to be a very profitable way to make money online and I ran them very successfully for a number of years. In fact, I was one of the earliest marketers to start a membership site back in 2004. One of my biggest discoveries as a marketer was it’s a good idea to sell shovels to the miners!!! The year 2007 saw the launch in collaboration with my online partner of the time of EasyMemberPro our very successful membership software which we designed with newbie marketers in mind. 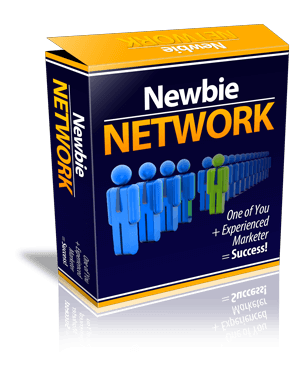 At this point I also ran a membership site for Newbie marketers plus I owned a hosting company and several other successful online sites. But I was employing 5 people full time to help me run my online business, it sounds great, but put the two lifestyles together, and it was really stressful. The money was rolling in nicely, but I was totally exhausted. I ended up absolutely ruining my health and I still suffer some of the effects today. I had an epiphany in 2009 and realized life was passing me by whilst I was sitting in front of a computer day after day slogging my guts out. I was burning the candle at both ends and badly damaging my health in the process. Yes I was making a huge amount of money from the Internet lifestyle, but what was the point if I was too dead to spend it. I had no family life whatsoever and it had got to the stage where I barely saw my husband, daughter or my two wonderful grandchildren. If I was living the IM dream, why wasn’t I enjoying it??? I was also conscious of the fact so many folks were depending on me for making a living, and to be honest being responsible for the livelihood of numerous people weighed heavily on me. (It’s not what I got into IM for). I felt as though I was on a treadmill which I couldn’t get off. So one day in March 2009 I just made the decision to give it all up!! A lot of people thought I had gone bonkers at the time. After all I was making a huge amount of money and it appeared I was throwing it all away. But the time was right, I was burned out and I needed to get away from all things IM. I’ve never regretted my decision to leave IM when I did. Spending quality time with my fast growing grandchildren for instance has been a joy I’d have hated to miss. Plus I needed to try and regain my health back. I semi retired from my offline nursing job in 2011. Well I really fully retired but only lasted a month before I decided I couldn’t bear the thought of giving it up completely. I went back on the wards very part time as a “proper” nurse and really enjoyed it. But I was restless, I found I was missing the old online life and decided to get back on board again but this time taking it a lot steadier. I’m not the same person I used to be. I’ve changed much of my business model since I came back online because I’m determined I’m not going to make the same mistakes as I did previously. I still get a buzz from making money (who doesn’t), but it doesn’t now rule my life! I also rediscovered my Christian faith. I stopped going to church many years ago after being very active for a number of years. I hadn’t realised quite how much I missed it until I went back. I’m now a fully functioning member of my local church where I’ve met a load of wonderful people and made a lot of new friends. So What Does The Future Hold For Me! Since writing the above, I’ve fully retired from nursing and am finding I’m loving it. It’s true what they say though, you do wonder how you ever found time to actually go to work once you retire. Online I’m into all things Kindle. I love writing and I’ve been lucky enough to not only make money from my own novels on the Kindle platform but also co ghostwrite a couple of best sellers with a writing partner. I’m also exploring other avenues of online revenue such as further ghost writing etc that will give me a recurring income without having to burn myself out to maintain it. Life online is both interesting and exciting again just as it was when I first set out on this Internet lark. I’ll be sending my newsletter out to you on an irregular basis, and yes I’ll recommend products to you using an affiliate link if I think it’s worthy of comment, (after all I’m a marketer at heart), however I never ever recommend anything unless I think it’s good enough for you to buy. I’m conscious of the fact there isn’t a great deal of money out there at the moment for many people, so value for money as far as I’m concerned is important. Having said that you may not hear from me for several weeks at a time if I get busy with my offline life because I take a lot of vacations (especially in the summer months). We bought a tourer caravan a few years ago and we like to take the grand kids to the seaside whenever we can. I also help run our local foodbank which takes a huge part of my life up though I really enjoy it. Anyway, by reading my observations on life and Internet Marketing in general, I’m hoping to help you enable yourself to become more confident both in yourself and your business. I also want to make you smile occasionally upon the journey because IM should be fun as well as profitable. So… if you want an excuse to make a cup of your favorite beverage, put your feet up and have a little chuckle then just sign up.